All participants are highly qualified and experienced legal professionals, and it is assumed that their observations, comments, and opinion would reflect their professional perspective on the problem at hand. There were judges, representatives of the High Council of Justice, State Judicial Administration, National School of Judges, Council of Judges, European Union Advisory Mission, NGO “La Strada Ukraine”. 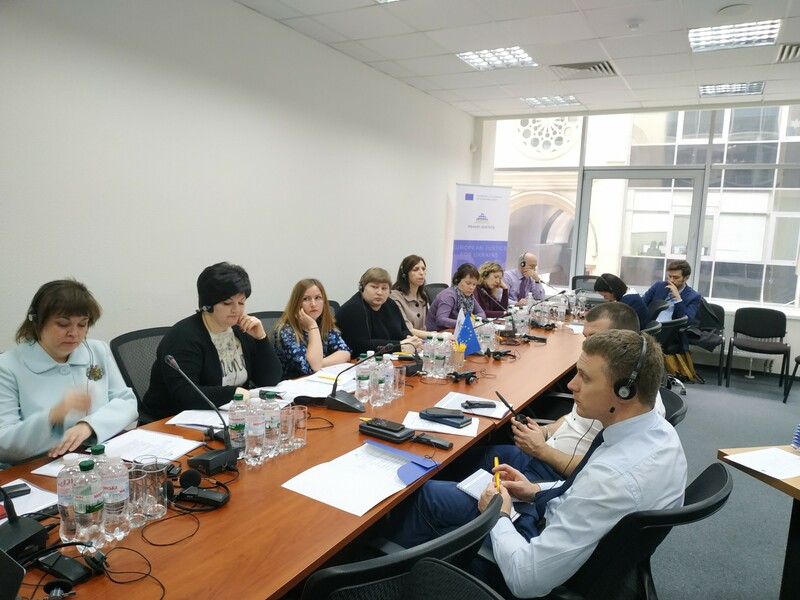 Model Court Initiative Project aims at increasing efficiency of justice, quality of client service, better communication, greater security, and support for vulnerable persons in the Ukrainian courts. These elements are some of the key factors in building the public trust towards judiciary. Through this Initiative technical and operational solutions will be worked out and proposed that should improve Ukrainian courts’ performance in main areas of their operation. Customer service standards will be developed in accordance with the best European practices to serve as a benchmark for the courts, including the rules for addressing participants to the court proceedings, guidelines on corporate dress code, communication of judges and employees of the apparatus with colleagues and clients. One of the direct goals of the Model Courts project is to establish the system of support for various groups of vulnerable persons (children, victims of domestic violence, violence against women, of human trafficking, etc.) in courts. Those participants of court proceedings are especially exposed for risk of repetitive victimisation. To avoid it, various measures shall be applied by judges, court administration and the civil society.